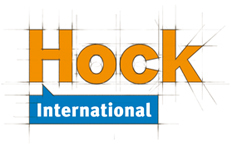 Hock International is a popular CMA Review program especially among non-US candidates. Does Hock CMA review course suit your own learning style? Let’s take a look. Disclosure: The I Pass Team may earn a small amount of compensation if you purchase from our links; our team uses these revenues to maintain the site and produce awesome free content just for you! Video and audio reviews sold as a bundled package. Video now available for both Part 1 and Part 2. Goes through main point of each topic, explains concepts and walks through calculation-based questions. Textbooks are available in printable PDF. Printing version is available for additional fees. Flashcards using the Anki platform that enables gradual introduces of new cards and avoid information overload. Students can choose between Study Sessions and Exam Sessions to learn in different modes. Assumed Knowledge e-Book: for those who need basic knowledge in economics, statistics and financial accounting. Candidates are expected to know these topics but they are not covered in the CMA exam syllabus. Hock offers CPA and CIA review materials, and you can learn more about these other products by visiting the best CPA review courses and the best CIA review courses. Live classes are held (mostly in Eastern Europe) and the recordings are used as video lectures in the self-study packages. Audio recordings of classroom sessions are also available. Hock’s notes are in-depth, clear and user-friendly at the same time. Candidates with little or no accounting background especially appreciate this. Students have access to updates (including the software) for the products that they have purchased, without a set expiration. A forum for Hock customers is set up for students to post questions to Hock teachers. This is different from other free online CPA/CMA exam forums where questions are answered by fellow candidates who may or may not know the correct answer. Update: Hock no longer supports the forum. 1. Test Prep Not Tough Enough? When compared to Gleim CMA Review, some candidates find the practice questions not comprehensive enough. Specifically, the coverage is not as wide as Gleim’s and there are less “tricky” MCQs to get you well prepared for the exam. Feedback from Hock International: about 500 new questions have been added to the software, including more difficult questions. The study bundle (textbook, flash Cards, test prep software, video + audio review, study plan, and assumed knowledge e-Book) looks similar to what Gleim is offering. However, the premium bundle (with re-registration guarantee) is a better apple-to-apple comparison given Gleim has free trial and money-back guarantees. If this is the case, Hock’s offer at $990 is slightly more expensive than Gleim’s CMA Review System ($720 with coupon here). Hock is now among the most affordable option. I will also provide details on this shortly. 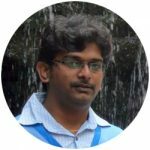 Vinoth from India used Hock CMA to prepare for his Part 1 exam, and he passed. To learn more about his experience, check out his blog here. Hock CMA is a good choice if you are a non-accounting major and needs someone to explain the concept very clearly in an organized manner. For more practice questions, you can always get Gleim Test Prep Software + Book Combo as a supplement. Hey Stephanie, I’m interested in trying to find a study resource to get my feet wet for the CMA exam and was thinking about getting Hock as it is less expensive than the other companies products. Once I’m ready for full blown studying (I’m waiting until after my ironman race) then I’ll look into Wiley and Gleim. Anyways, I’m wondering do you think the Hock study materials package (not including multiple choice software and audio) is enough to get my bearings on the subjects and is easy enough to follow? I’m 7 years out of undergrad so some of the topics might be stale. I also work in a financial reporting role rather than finance management so I don’t practice these topics at the moment. Let me know what your thoughts are. Thank you. My opinion is that, with any study materials it is most important toget the multiple choice software, because the key to success for this type of professional exams is to practice, practice and practice. Some people only skim through the study materials and dive into the practice questions. If you are a busy person, this is probably the best way to do it. Obviously being out of school for a few years you do need to have do some basic reading. Hock is good, but I personally think Gleim has a better, more integrated package. I’ve yet reviewed Wiley (got a full copy but still sitting on my desktop). Will let you guys know once I complete the evaluation. Best of luck to your ironman race. Wow, sounds very impressive! I’m doing my graduation right now n planning to do cma after it. I wanted to ask that if by studying Hock cma thoroughly will I be able to get 80 to 90 percent marks in cma. I know that there is no asurity of getting high marks by referring any particular book, but just for an idea that is hock good enough for attaining good marks. Hi Salum, Hock doesn’t disclose the detail (and honestly, I don’t think they know) so I cannot comment on it. Hock does mention that around 60% of students took Hock and passed. By the way, unless it is for personal challenge, you don’t really need excellent score in CMA because the grade won’t be showing in any official document. The passing mark is 360 out of 500.
i am planning to take up CMA, pls advise which study material to refer. I have a BS in Accounting with a few years experience mostly in mfg. I am leaning heavily towards Gleim for my CMA prep but I keep hearing about Fast Forward Academy.Their most expensive bundle is $469 which includes text books & online with 2,564 questions& unlimited practice exams.They also offer prep for CPA, EA & CIA as well as Tax Training, their website is fastforwardacademy.com Have you heard of them or checked out their website? I am from India and working professional, started studying for Part 2 (part 1 not started). I have enrolled in a coaching center who uses hock materials however I am not able to follow it completely. I have heard that first the candidate need to go through part 1 and then part 2. Does it makes difference? And, is it necessary to have Indian CMA degree before starting US-CMA. Please advise how to study using hock books. Please also provide some tips for June exam as I am studying after a decade now. Because I work on a very limited basis with Hock, I would recommend you reach out to them with this question. I wish you the best!